Personally, I'd still go with the building. As long as your layout is not too high, you should be able to see over the structure for operations. I've deliberately put structures or other things between the viewer and the track: it's a good way to direct the viewer's eye to the things you want them to notice. 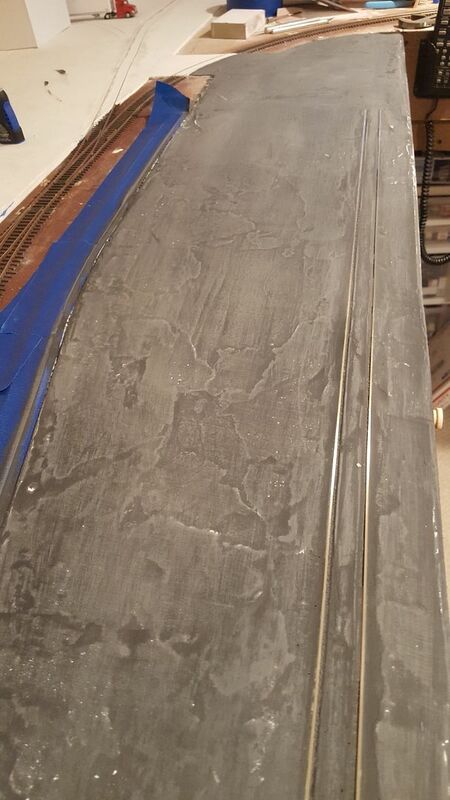 As long as you can reach needed things (manual turnout controls, or for manual uncoupling, track cleaning, etc.) it will make the view more interesting. 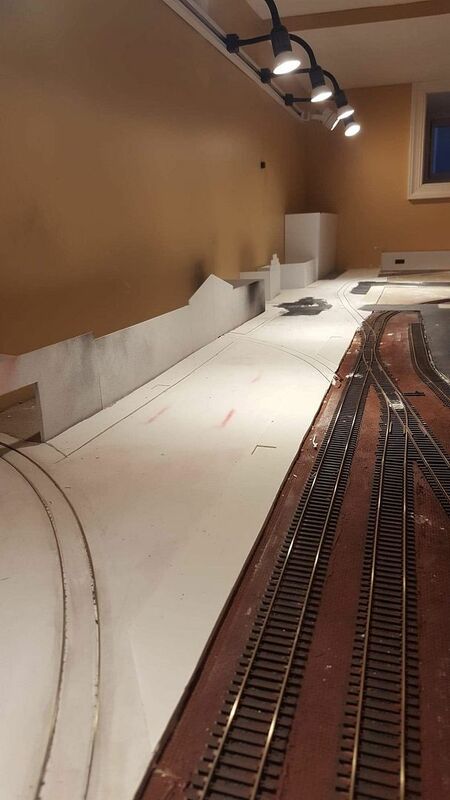 It would also provide a better venue for taking on-layout photos: the views that your LPBs might see, but that you can't. 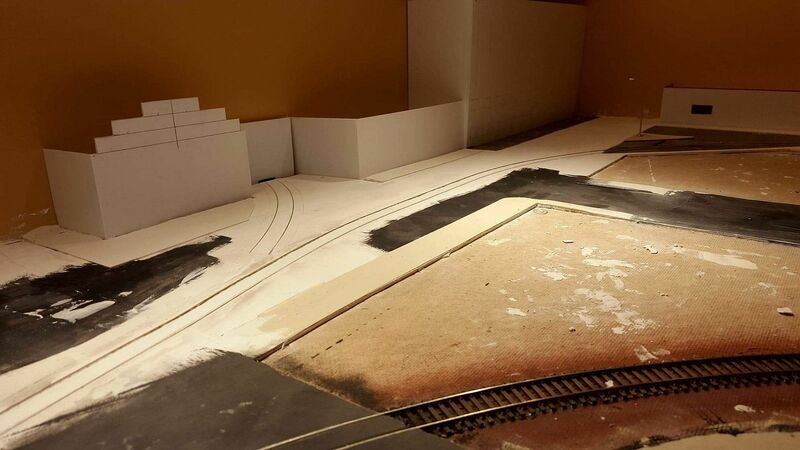 It can also allow photos, in some situations, taken from on the layout, but looking towards the aisle - the structure in that scenario will act as the backdrop for the scene. If you think that the structure might hamper access for maintenance, simply make it removeable. 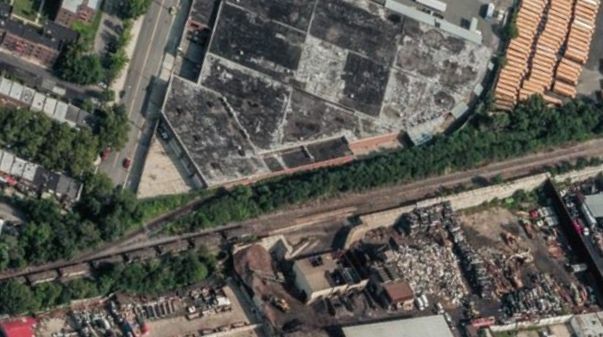 It's your layout and your choices, of course, but it sounds to me as if that building was originally a much-desired part of the over-all plan....sorta like the thing that would really make the scene. These are all valid points Wayne. When it comes time to work on this area I'll have to revisit my options and see what works best. 1st avenue is now paved, lots of sanding then it'll be pouring the sidewalks then painting. 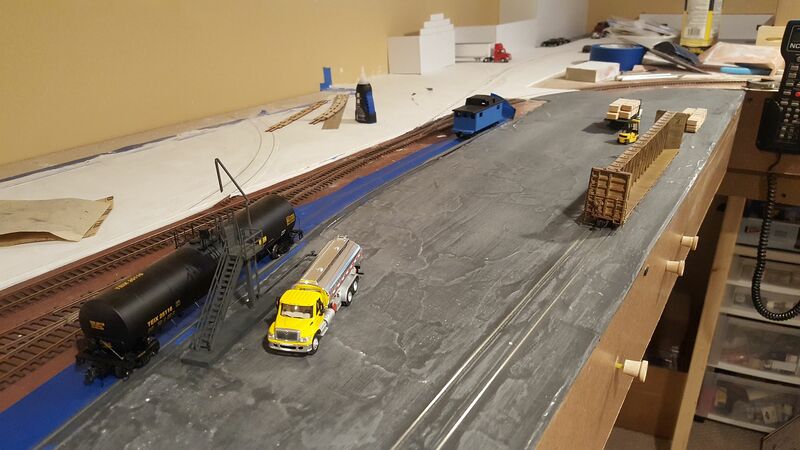 I also got the engine house floor paved and painted and the team track lot painted. The team track lot paint got sanded with 220 grit sand paper but I think I'm going to repaint it and sand it with a finer grit sandpaper. That looks really great. 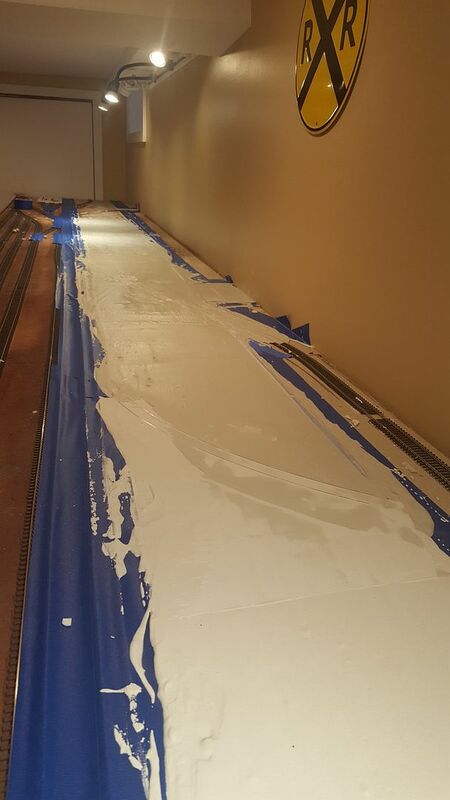 I wish I could handle plaster like you but I end up always in a mess. ps. Did you ever think about a trolley layout? You can do the street running with your plaster technique easily. (02-03-2019, 07:04 PM)faraway Wrote: That looks really great. I wish I could handle plaster like you but I end up always in a mess. 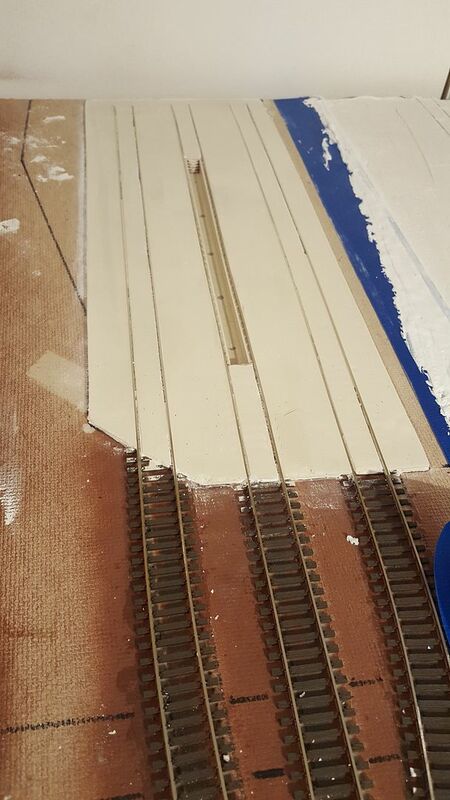 Thank you Reinhard, when I lay the woodland scenics paving tape down I follow up with painters tape at least 3 or 4 inches wide from the area im paving with smooth-it. 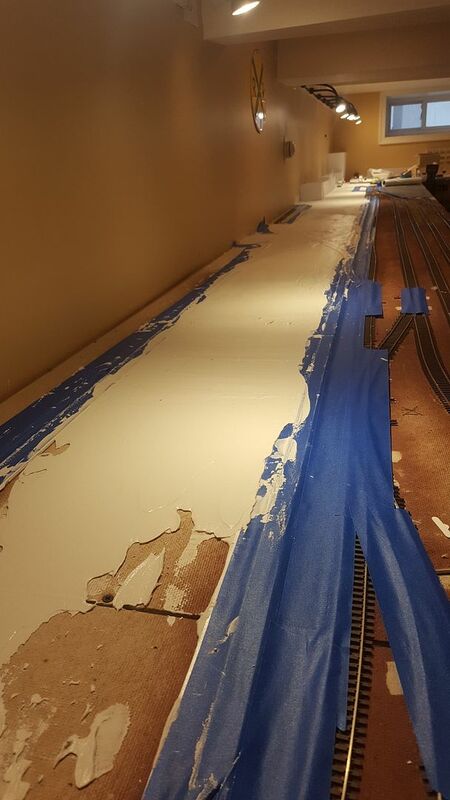 All the over flow goes right on the painters tape, both the painters tape and paving tape peels right up together and all the spilled plaster gets vacuumed right up. 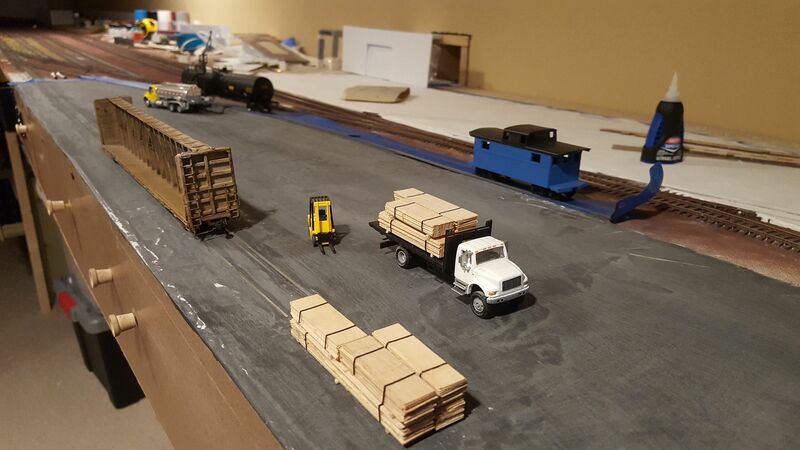 If I ever did a streetcar layout it would have to include freight service street running also. I know I would quickly lose interest building an entire city block just to watch a streetcar traveling around. I needed to to do some plaster work at two grade crossings close to the tracks today. Your recommendation made my day! I made the usual mess but within the boundaries defines by the painters tape. Thanks a lot! Glad I could lend some help! 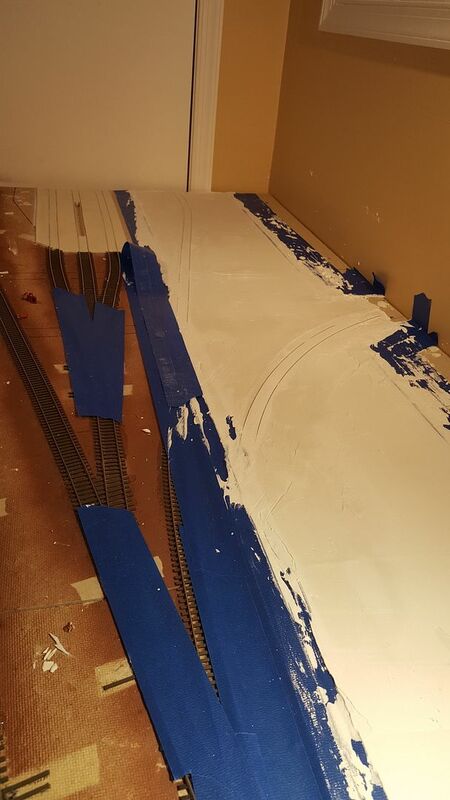 I don't get to work on the layout as much as I'd like but I was able to get a good amount of the sidewalks poured. Next I'll sand everything down, scribe all the lines and patterns, paint/weather then get buildings and ground cover completed for this entire back corner. 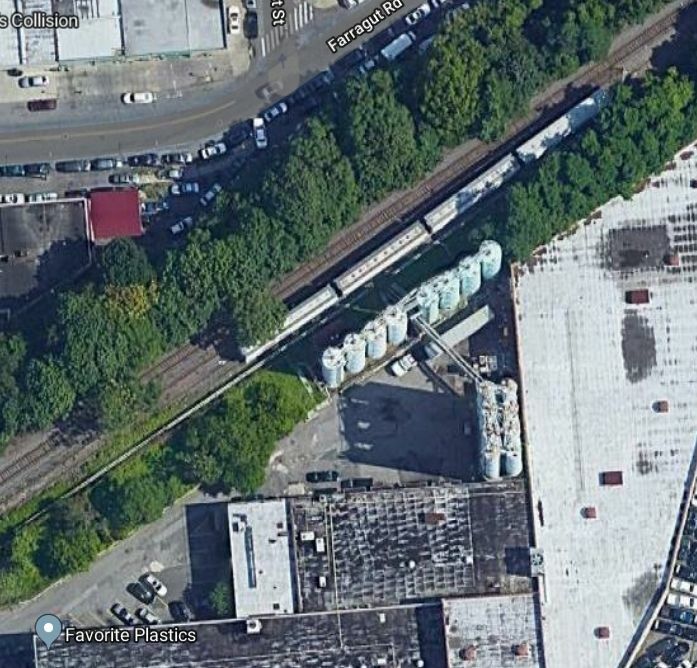 I'm considering extending the Brooklyn & Greenville with a switching area in the form of the Bay Ridge Branch. 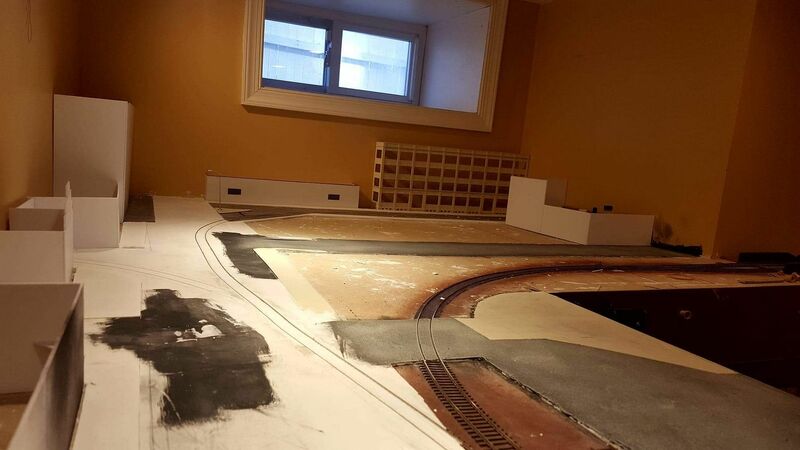 It would connect to the Bush Terninal section of the layout via the hidden staging/interchange. It'll add up to 25 extra feet of switching operation. Im going to try to keep the width under 18 inches and will be secure to the wall with shelf brackets to keep the floor area underneath clean and neat. 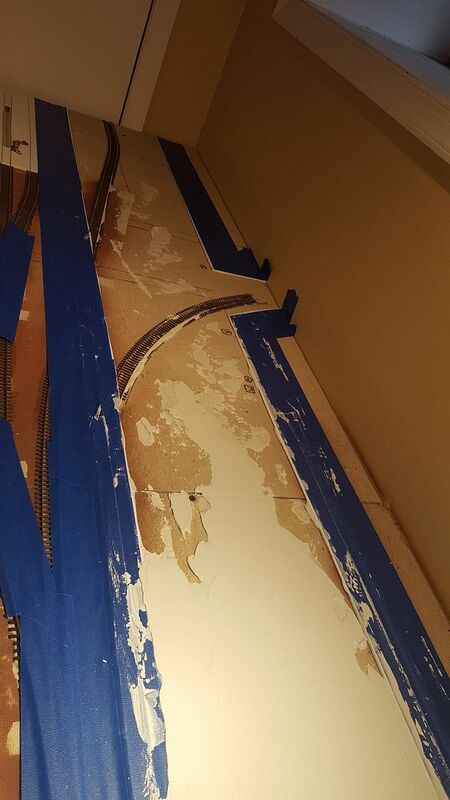 Trains will get access to the branch through the wall from staging. 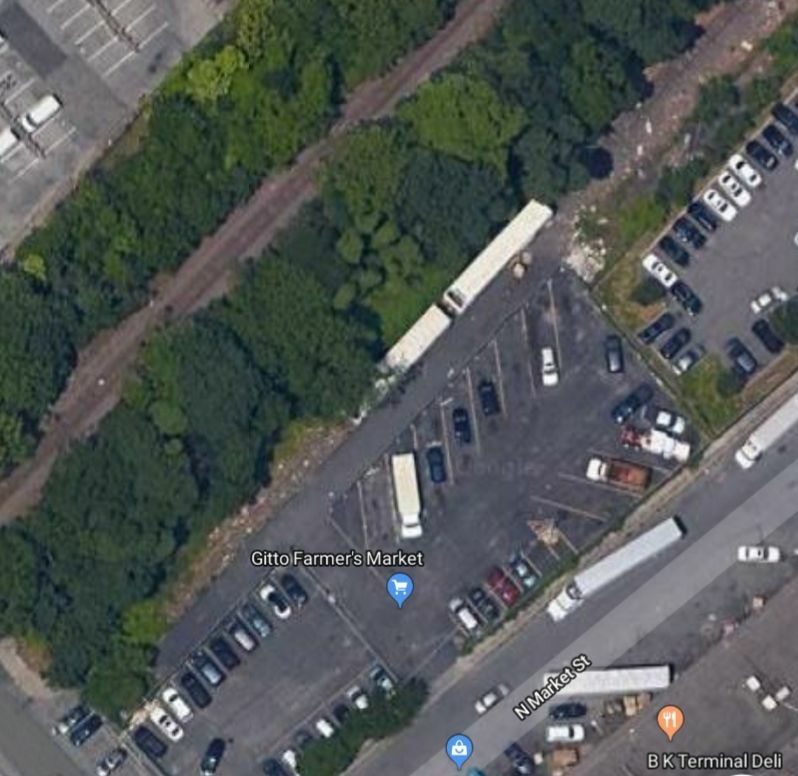 I figure it'll be operated by the B&G but when I run NYNJ Rail amd NY Cross Harbor engines the branch will be operated by New York & Atlantic and LIRR. 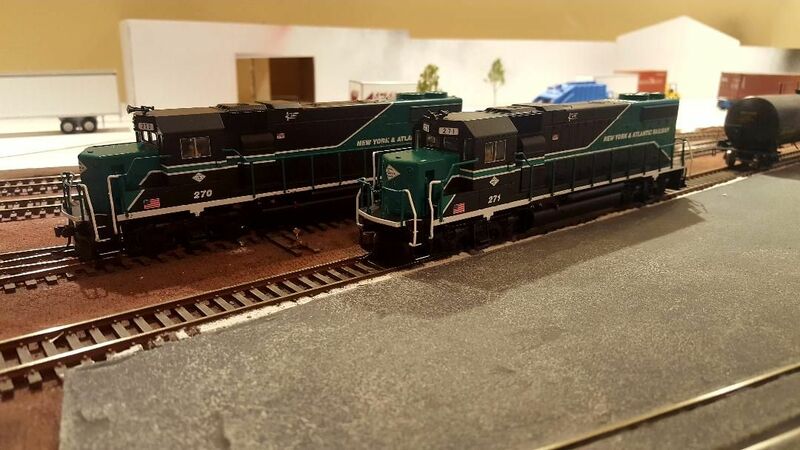 I was able to purchase 2 Atlas NY&A gp38-2s and will add some better prototypical details to them. 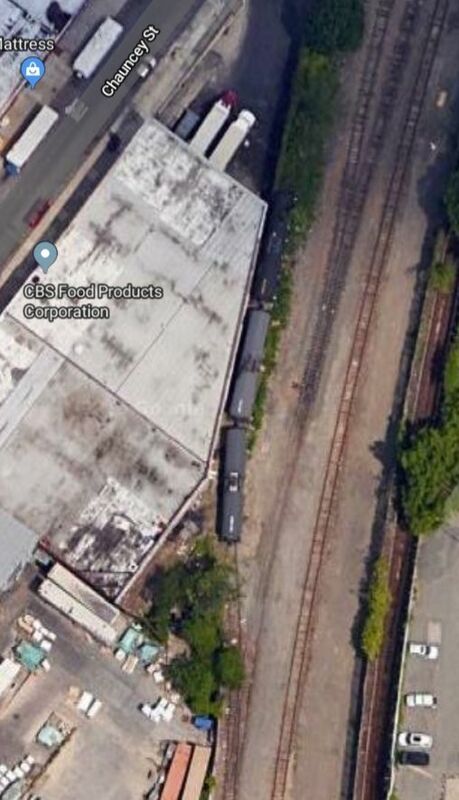 Also when I get the itch to operate my CSX and Conrail engines I can run them without looking completely out of place. 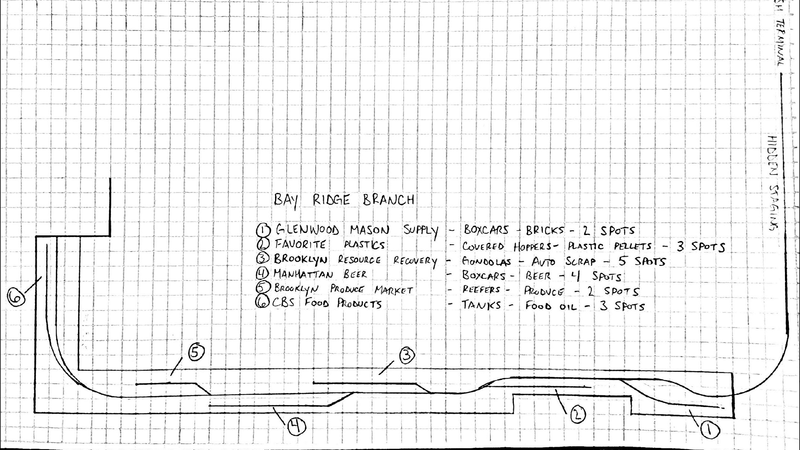 I drew up another track plan with some more accurate measurements that I took. Ill have to move a light switch and raise the tv thats mounted on the wall but after that i can start building the benchwork. 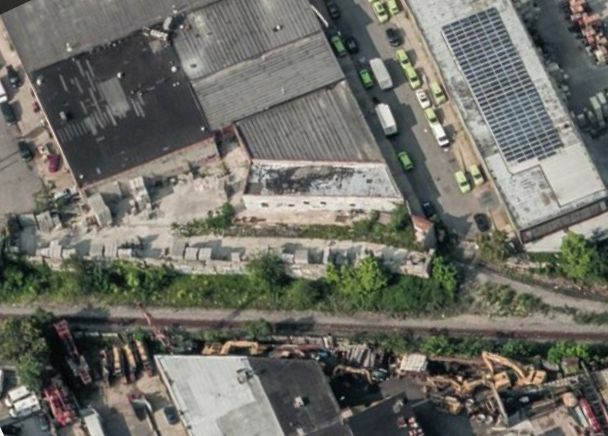 The new plan has a runaround, technically the prototype has a runaround but its used for Brooklyn resource recovery. I also want to use the urban steel overpass kit from Walthers and would need 2 tracks. Heres some screenshots of the industries I intend to use.